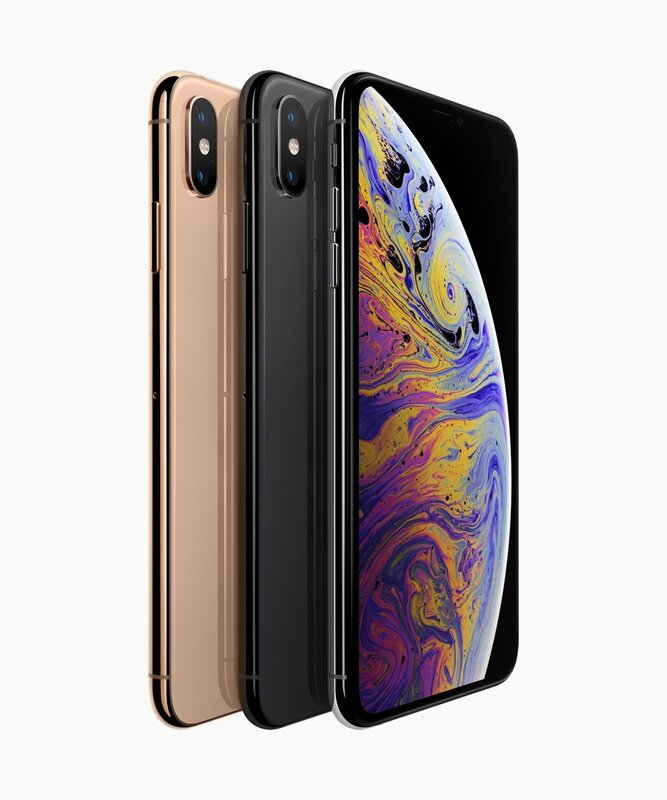 During Apple’s keynote, the company introduced the iPhone Xs and iPhone Xs Max, which feature Super Retina displays, a faster and improved dual camera system, the first 7-nanometer chip in a smartphone, the A12 Bionic chip with next-generation Neural Engine, faster Face ID, wider stereo sound and a new gold finish. They also introduce Dual SIM to the iPhone. The iPhone Xs and iPhone Xs Max build on the all-screen design of iPhone X and feature the sharpest displays with the highest pixel density of any Apple device. Now offered in 5.8-inch and 6.5-inch sizes, these Super Retina displays with a custom OLED design support Dolby Vision and HDR10 and have iOS system-wide color management for the best color accuracy in the industry. The iPhone Xs and iPhone Xs Max offer a million-to-one contrast ratio with remarkable brightness and true black range with 60% greater dynamic range in HDR pics. The iPhone Xs Max delivers a more immersive experience with over 3 million pixels for videos, movies and games, offering the largest display ever in an iPhone in a footprint similar to iPhone 8 Plus. A surgical grade stainless steel band now in gold joins finishes in silver and space gray. Wider stereo playback creates a more immersive soundstage, according to Schiller. The front and back glass design features the most durable glass ever in a smartphone with improved scratch resistance, while the glass back enables faster wireless charging. The iPhone Xs and iPhone Xs Max deliver the highest quality video capture in a smartphone. The larger pixels and larger, faster sensor enable improved low-light performance and video stabilization, as well as extended dynamic range for more highlight and shadow detail in video modes up to 30 frames per second. Using the four built-in mics, users can also record stereo sound to get the most out of video recordings. iPhone Xs and iPhone Xs Max introduce Gigabit-class LTE for even faster download speeds4 and Dual SIM through the use of a nano-SIM and digital eSIM. The iPhone Xs and iPhone Xs Max will be available in 64GB, 256GB and 512GB capacity models in space gray, silver and a new gold finish starting at $999 and $1,099, respectively, from apple.com, in the Apple Store app and Apple Stores, and is also available through Apple Authorized Resellers and select carriers. The iPhone Xs and iPhone Xs Max will be available in more than 25 countries and territories including Andorra, Armenia, Bahrain, Bulgaria, Croatia, Cyprus, Czech Republic, Estonia, Georgia, Greece, Greenland, Hungary, Iceland, India, Kazakhstan, Kuwait, Latvia, Liechtenstein, Lithuania, Malta, Monaco, Oman, Poland, Qatar, Romania, Russia, Slovakia, Slovenia and South Africa beginning Friday, September 28.